Hello! I’m so excited to share these newborn baby photos of Leonardo! At 8 days old he is the perfect age to capture all those amazing newborn baby wrinkles. Yes I love my job and I confess to having an addiction to crazy newborn fuzzy hair! It is true I can shed a tear and don’t want to stop hugging some newborns let alone let them leave the studio. I feel very privileged when asked to take photos for family friends. This is Leo and his gorgeous parents went to the same primary school as my own children. This adorable baby boy has become part of the most amazing loving family. I can only imagine how wonderful this Christmas will be and how excited the entire family will be. Thank you so very much Sebastian and Emma for choosing me to capture your family newborn memories. I loved every moment he melted my heart. Would you love newborn baby photos to treasure forever? Are you looking for newborn baby photos on Brisbane’s Northside? Bee Cherished have a beautiful boutique studio located in Caboolture. The studio is home to the most adorable newborn photography props. If you have a love for timeless and emotive newborn photos I’d love to hear from you. Whether you’ve already welcomed your newborn baby or currently pregnant, treasure those early newborn memories with beautiful portraits. I have the most amazing newborn photography packages available with stunning products I love. Everything is on display in the studio so you can touch and feel the quality which I am very proud to offer. I want you to enjoy your newborn photos for a lifetime. 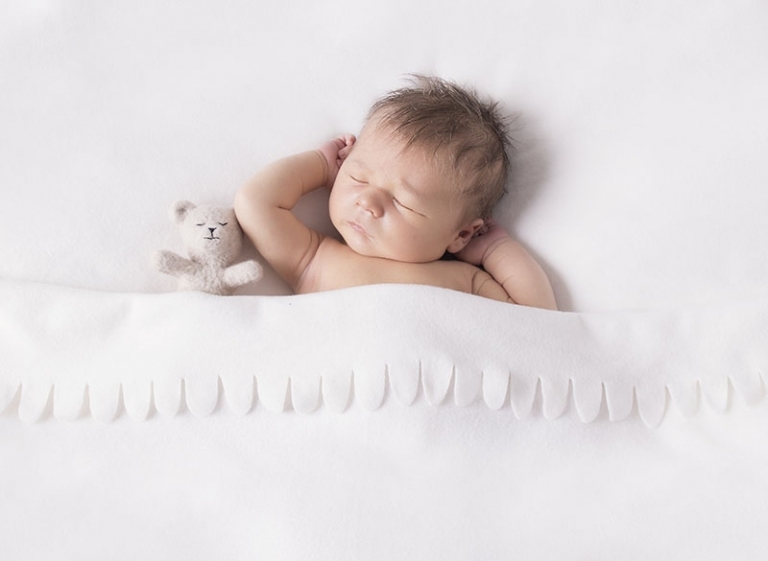 When is the best time to book newborn baby photos? The best time to have your newborn baby photos is within the first two weeks, ideally between 5 to 10 days old. As a mother myself I know heading out of the house for a newborn photo session may be a bit daunting as a first time parent. You’ll be pleasantly surprised how comfortable the studio is. Everything is available needed to provide you with a gallery of timeless portraits. Just bring yourself and relax. 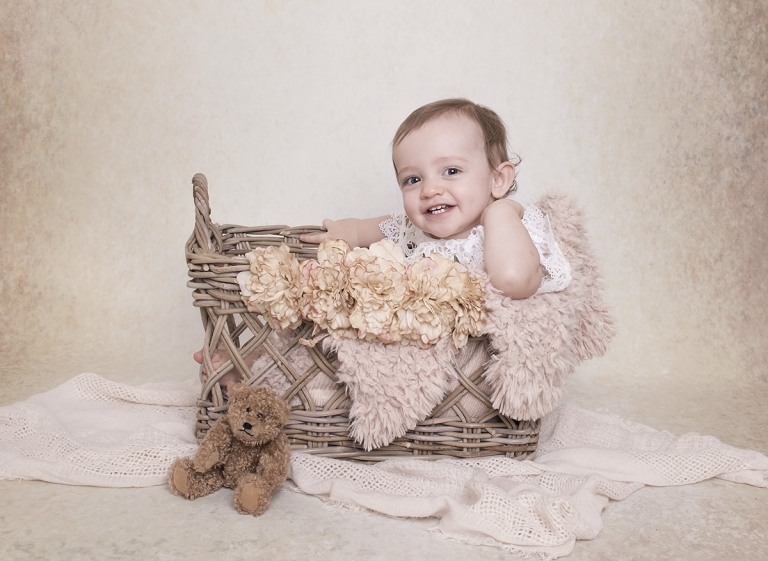 Enjoy watching your newborn have photos in a comfortable private studio without time restrictions. Yes I love newborn baby photos, how can I book?